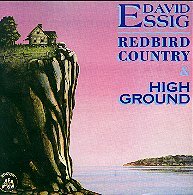 REDBIRD COUNTRY originally released 1974 as Woodshed WS-001* Produced by David Essig. Recorded 1973, Toronto & Washington, D.C.* Engineers: Phil Sheridan & Jim Hall. Musicians: David Essig, Pat Godfrey, Bob Lucier, Dennis Pendrith, Bill Usher, Chris Whiteley, Blaine Wikjord, Clayton, Hambrick, Jim Hall, Doug McCash, Gary Schaum and Bob Williams. ©1974 Woodshed Records, 1998 Appaloosa Records. 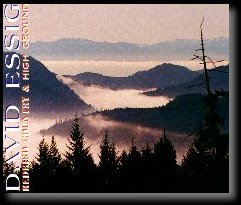 HIGH GROUND Originally released 1975 as Woodshed WS-002 * Produced by David Essig. Recorded 1974, Kearney, Ontario; Mixed 1974 , Toronto. Engineers: Phil Sheridan, Chris Skene, Dennis Murphy, Richard Thomas. Musicians: David Essig, Ron Dann, Luke Gibson, Paul Hurdle, Paul Mills, Ben Mink, Dennis Pendrith, Joanne Reisler, Chris Whiteley, Ken Whiteley, Bill Usher, Kim Palmer, Dave Quinn. © 1975 Peregrin Songs - Woodshed Records ltd., 1998 Appaloosa Records.